Featuring traditional styling that originated in the 16th century, French doors are the classic way to open up your home to light and air. This allows you to inject a real sense of space into your home whilst enjoying their unique but elegant designs. 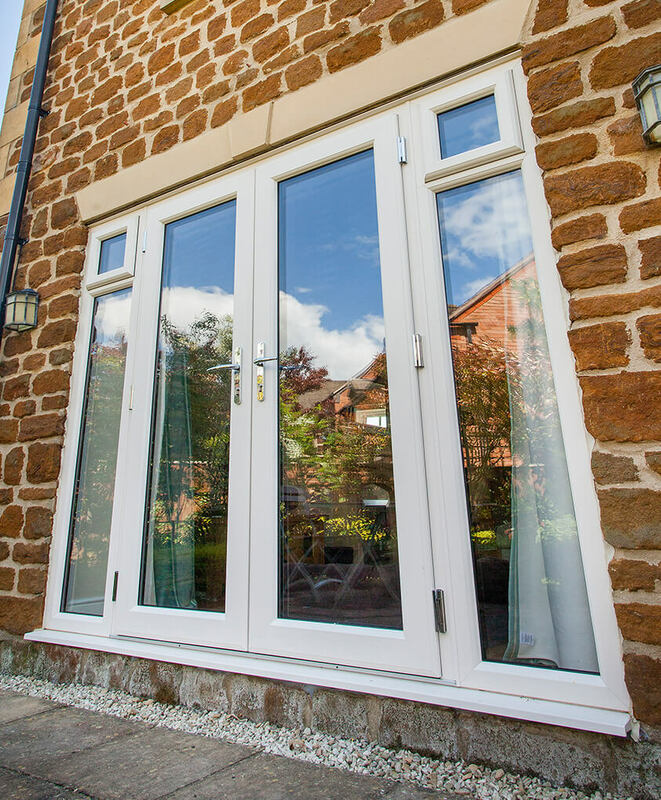 Suitable for use as replacements or new installations, our French doors are available in either uPVC or timber. Both materials possess excellent insulation qualities so you can enjoy a warm home environment without any unexpected rise to your energy bills. 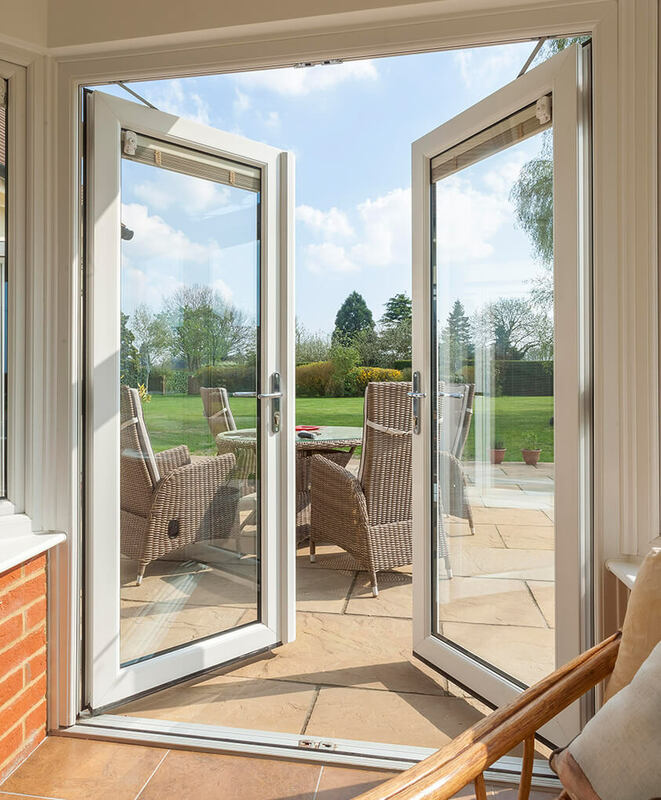 No matter the age of your home, our French doors will fit it perfectly, providing you with the ability to ventilate your home with huge amounts of air whenever the doors are open. No need to worry about excessive maintenance either, especially if opting for uPVC which only needs the odd wipe down to keep clean. Built from materials of the highest quality, they’ll keep your home draught and weather-free for years to come. 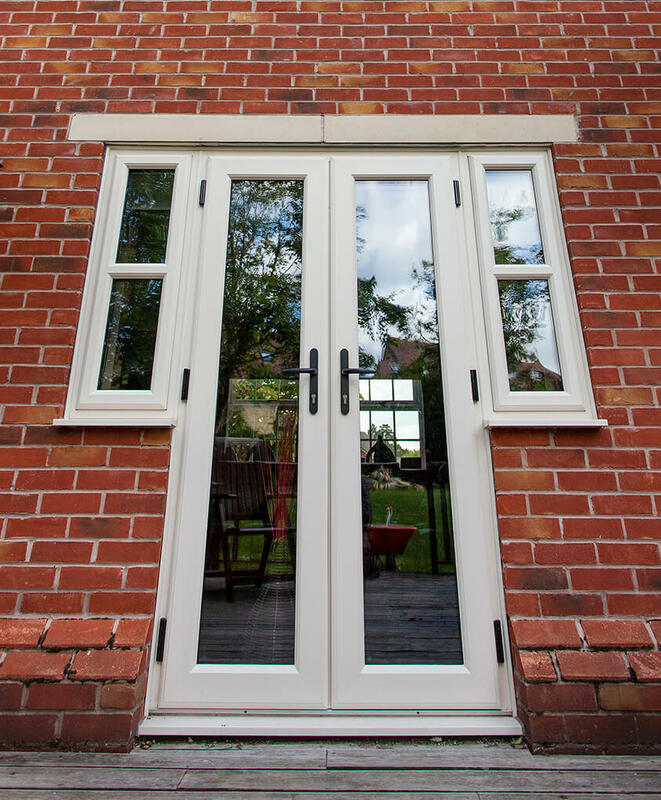 Our uPVC and timber French doors can achieve U-values of 0.8 and 1 W/m2k respectively. This makes either option incredibly thermally efficient. 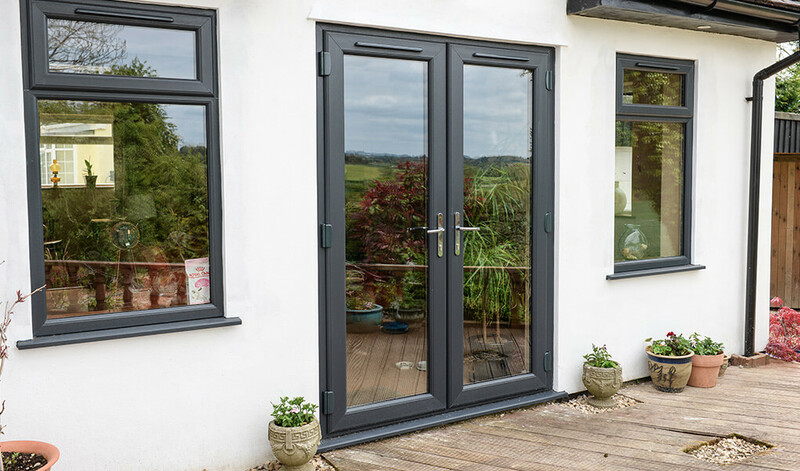 Any set of French doors from Premier Windows comes with an advanced multi-point locking system, securing them at various points in the frame. We can install them to open either inwards or outwards to suit the amount of space that is available. There is plenty of opportunities to find your ideal look thanks to various colour finishes, two different materials, your choice of handle, and opening configuration. 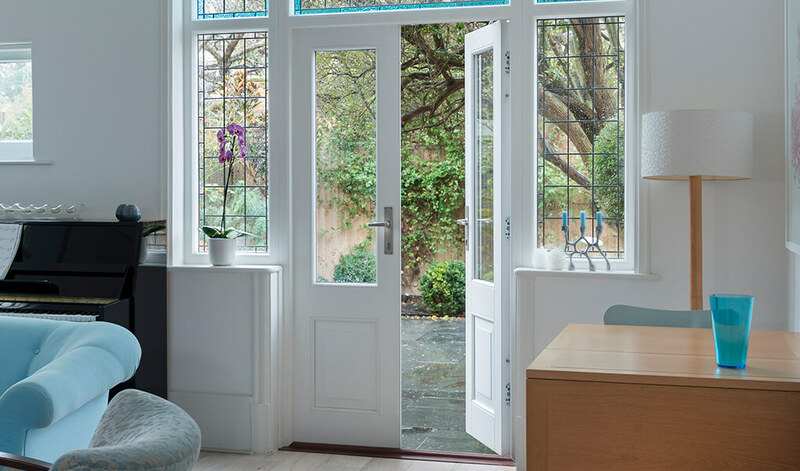 There's huge scope for customisation when it comes to the colour of our French doors. Take your pick from a huge number of shades and woodgrain foils. We also provide the option to colour the doors differently for the interior and exterior part. 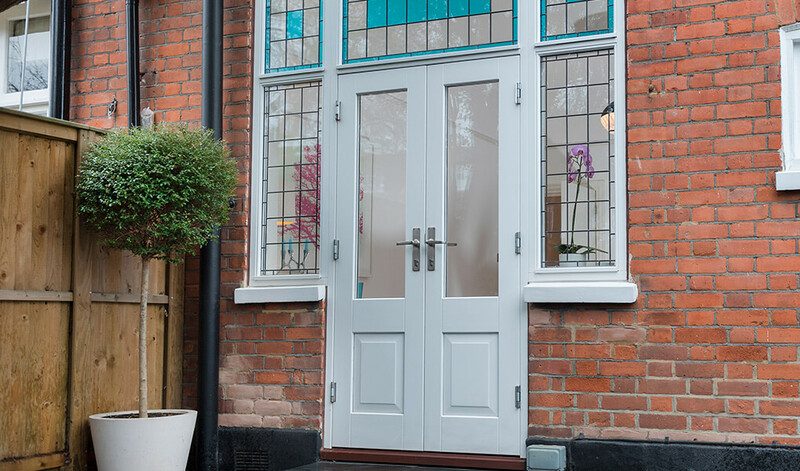 Pick from a wide selection of different glass styles and customise the doors even more so. The glass is obscured for a number of the designs, which comes with the added bonus of improving privacy levels. Their frames can either be chamfered or sculptured, to suit your preferences. Both are very stylish but chamfered frames tend to be better suited to more contemporary styles of architecture.